Robert Cook, 77, of Baileyton, passed away on Wednesday, Feb. 27, 2019. He was born March 19, 1941, to Robert and Marlene Bertbigler Cook. Mr. Cook was a millwright by trade. He also served his country in the armed forces. For his service we are grateful. Robert was a member of Pan Creek Church and a frequent patron of Parkside Café. 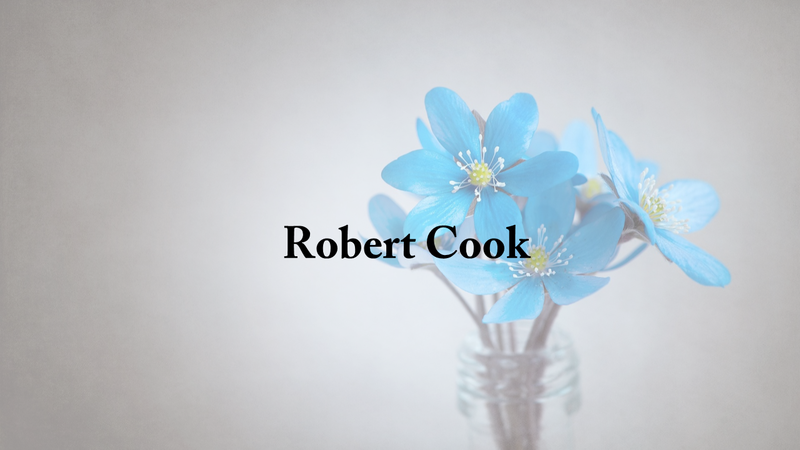 Robert is preceded in death by his parents; brother, Richard Cook; and sister, Karen Worth. Survivors include his daughters, Lisa (Alan) Joyce, Diana Dean, Angel Herriman; sister, Betty Vieau; ten grandchildren; and seven great-grandchildren. Memorial services for Mr. Cook will be held in northern Michigan at a later time. Holly Pond Funeral Home is honored to serve the Cook family.